79-year-old filmmaker Woody Allen opens up about his relationship with former step-daughter Soon-Yi Previn admitting she connected to him on a paternal level. Woody Allen has revealed he thought his controversial relationship with wife Soon-Yi Previn was 'just a fling' when it started in 1992. The prolific director, now 79, has been in a relationship with Mia Farrow's adopted daughter, 44, for 23 years. 'She enjoyed being introduced to many, many things that I knew from experience, and I enjoyed showing her those things,' he continued. Reflecting on why they have stayed together so long, Allen said: 'I'm 35 years older, and somehow, through no fault of mine or hers, the dynamic worked. 'I was paternal. She responded to someone paternal. 'I liked her youth and energy. She deferred to me, and I was happy to give her an enormous amount of decision making just as a gift and let her take charge of so many things. She flourished. His words appear to contradict Previn's analysis of their relationship in an interview with Time, when she appeared to imply she had always seen Allen in a romantic way. Their relationship - which started while he was dating Farrow - has remained a constant fascination in the media since it became public in 1992. It came just over a decade after Allen made the movie Manhattan, in which his character dates a college-age girl and puts it off as a fling until he realizes he loves her. Friends of the family told Vanity Fair's Maureen Orth at the time they 'sensed that Soon-Yi had a crush on Woody' in 1991 'which he seemed to delight in'. It unraveled when Farrow found naked pictures of Soon-Yi in Allen's apartment. Since, the makeshift family has been engaged in a dramatic ping pong game of allegations. 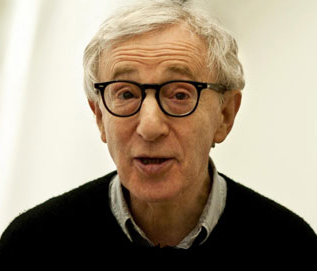 Woody Allen should open up about Dylan Farrow accusing him of child molestation. Isn't it interesting that mainstream media constantly broadcasts stories about Bill Cosby, but has virtually remained silent about the Woody Allen child molestation accusation?